in this blog post, we want to talk a bit about our progress and what we’ve been up to in the last few months. As the gameplay and the mechanics of Eternal Escape are now determined and working, we are now working on improving the overall look of our game. Our first step in this process is to replace the current generic with more natural and realistic animations. And this leads us to the big topic of this blog post: Motion Capturing. 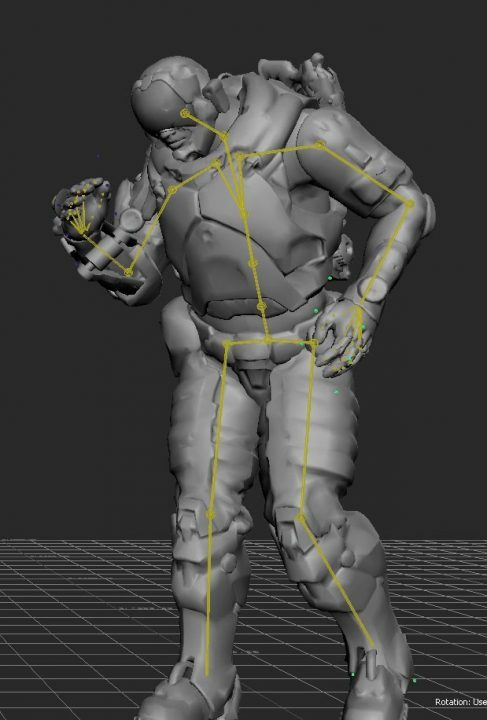 Motion Capturing (or Mocap) is a commonly used process, used in the movie and games industry to apply movement of real actors and objects to virtual 3D models and display them in a given medium. One of the most known examples of a character that was created with Mocap is “Gollum” from the “Lord of the Rings” saga. We want to use Mocap especially for all humanoid characters that will appear in Eternal Escape, to give them more personality. In order to achieve this, we started recording animation in November of 2017 in the Mocap studio of the University of applied sciences in Trier. So far we have created over 100 different animations. On that note, we would like to mention, that it’s not self-evident for an Indie developer to be able to use Mocap, as this technology is quite costly. 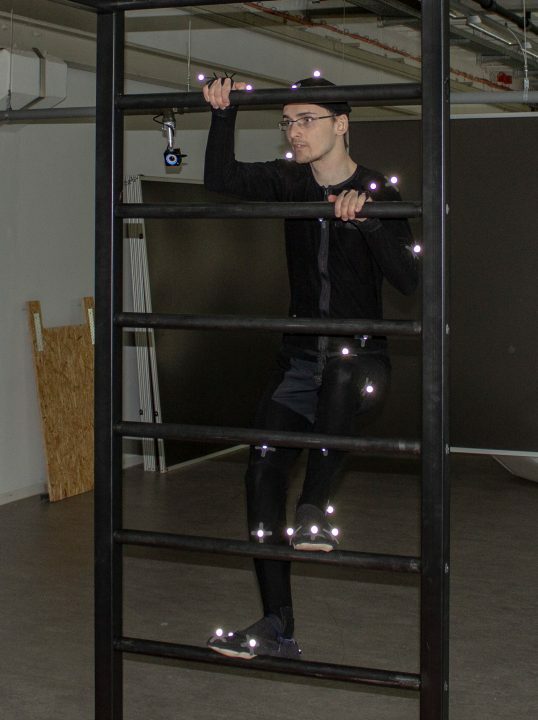 We are very lucky to be able to use the Mocap-Studio of the University of applied science of Trier for our work on Eternal Escape. The recordings are still in progress and will be continued during this year. In March of 2018, we started to import the animations in Unreal Engine 4, edit and systematically replace the old dummy animations with the new ones. A few words about the technical side of that process. We are currently using 16 cameras (soon we’ll upgrade to 32.) placed around a 25m² area (that’s about 270 square foot.). Our actor is wearing a special suit with 41 trackers attached to it. He can move freely inside this area while the trackers are registered by cameras from different angles. From this information, positional data for each point can be calculated and projected onto the 3D character model.To achieve this, we are using the Software “Motive”. The following editing of the in-game characters happens with “Autodesk MotionBuilder” and “Maya”. Hopefully, we could give you a good insight of our work of the last months with this update.